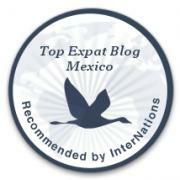 Expat Lifestyles in Mazatlán: Cathy and Bill | ¡VidaMaz! One of the cool things about foreigners who move to Mazatlán is the variety of lifestyles they can adopt here. While the vast majority are retirees, more and more we see families and working people relocating to Mazatlán. At one end of the continuum we meet extranjeros who live very Mexican lives, adopting the culture, speaking the language and, perhaps, obtaining citizenship. On the other hand we meet those who have little desire (or sometimes ability) to learn Spanish, who socialize primarily or exclusively with non-Mexicans, and who in many ways have replicated their lives from NOB (north of the border). People at both extremes seem to live happy and fulfilling lives here, which is great to see. And, of course, there are lifestyles representing every combination in between these two extremes, including many who volunteer ceaselessly and selflessly and many who party and sunbathe daily, living the retirement life they always dreamed of. We have artists, lifelong students, those who start small businesses, and those who remodel and restore historic homes. Amidst so much diversity, Cathy and Bill stand out. They don’t fit into the most common expat categories, and they are one of the most interesting couples I’ve met here. Both in their fifties, Bill has recently retired and Cathy is nearing retirement. They originate from the US east coast. A few years ago they vacationed in Mazatlán, fell in love, and bought a house on their very first trip here: on a whim, so to speak. The home they bought is in a typical, centrally located Mexican neighborhood. No modern marina area or Centro Histórico, areas in which many other expats live and where perhaps things might be easier for them. Ok, plenty of other foreigners live in neighborhoods with few foreigners. But, neither Cathy nor Bill spoke Spanish when they bought their home, though they are taking lessons and learning quickly. Talk about jumping into the pool rather than checking the temperature first with your toes! They are not like some retirees who live in the typical neighborhoods because there they can live on social security and a small pension because life is cheaper. Nor do they live in a gated community with killer views. Cathy and Bill live in a nice home a block from the beach, in a mixed-use neighborhood of small homes and businesses. What’s remarkable to me about Cathy and Bill is how completely open they are to the culture and the people here, despite their initial lack of language and experience with Mexico. To me as an interculturalist, getting to know them has been a breath of fresh air. We witness a lot of unfortunate cross-cultural misunderstanding and negative judgment in our daily lives here, and we ourselves are not immune to it as we create our community here. But Cathy and Bill are excellent role models of how to be open minded, and how to jump into a new community wholeheartedly. They have befriended their neighbor, an air conditioner repair guy, who has “taken them under his wing,” so to speak. He has welcomed Cathy and Bill as a member of the family and local community. Thus, the couple is invited to the kids’ baseball games, school performances, and every extended family party and event. And Cathy and Bill go. They don’t let the lack of language or cultural understanding stop them; they see these as an opportunity to learn, to build friendships, and to build community. Their circle of friends here keeps growing exponentially, as they learn local slang, how to make ceviche, or how to rehab a car Mazatleco-style. We first got to know them in the way we first connect with many of the foreigners we know here in town: online. Greg probably answered a few questions they had about living here. He happened to mention our plans to attend a Banda El Recodo concert with our neighbors. They asked us to buy tickets for them to attend as well. The first time we met them was when we delivered the tickets to their house. We have not had the good fortune to get to know a lot of foreigners in town who attend bandaconcerts, though I know they exist. In fact, among the thousands of people attending that concert, I honestly believe we were about the only foreigners at the event. Cathy and Bill’s excitement about attending this concert paralleled our own. They didn’t stress, as so many new immigrants would, about the hours and hours we waited for the main event to commence. Concerns about safety or violence didn’t prevent their attendance, as it does so many others. They danced and hooted with everyone else, taking photos and videotaping with sheer delight. They ate and drank the local food, with no concern about getting sick. They looked around with us to try and figure out how people were getting chairs to sit on, and together we found the way and happily sat. Till the band came on, of course! It was really refreshing to witness in someone new to town; the differences seemed to energize them rather than intimidate them. I can count on these two for a funny, self-deprecating story. They were recently invited to a “nephew’s” birthday party. Their friends explained and explained the location of the party to them. They drew them a map. The children attempted to explain in their best school kid English. But Cathy and Bill were still confused. But they’re committed. They drove around in circles, trying to find the location, until they finally found their friends waving at them: from Burger King! Yes, they hadn’t understood the Spanish pronunciation of those well-known words, but it didn’t hinder them from enjoying the party with their friends or from making the most of the story afterwards! It so happens that in front of where Cathy and Bill live is a large empty lot. When they bought the house, they wondered about it: whether and when it would be developed, mostly. Little did they know that this lot becomes home to major city-wide events a few times a year. While the crowds, litter, noise till all hours of the morning, and dust might bother a lot of people, instead of complaining Cathy and Bill embrace the excitement. “What a great location we have the good fortune to live in,” they say! Their open-mindedness and enthusiasm are supplemented with a real desire to thank those they feel have made their new home such a joy to them. Each fall for the past few years, when Cathy and Bill drive south to their winter home, they pack their vehicle to the brim with bicycles and sports equipment to give to local kids, and a few adults who are now able to get to work much more easily. It’s people like Cathy and Bill who make me really proud to be an American. Thank you, friends. Readers, I first wrote this post a year and a half ago. Somehow the file became corrupted, and this was never posted. Now that I’ve figured out how to “rescue” the file, I’d like to give you a short update. Cathy and Bill drive down to Mazatlán every year. They spend their summers up in the US going to garage sales and second-hand stores, buying used baseball equipment, bicycles, baby swings — you name it, but things that people here might find useful and hard to find the extra money to purchase. They fill their truck and haul it all down here every fall. They spend the first month they are here finding good homes for all these items.Parties at their home have now become an annual tradition. The neighbors block traffic on the street, one neighbor cooks tacos, another provides the DJ service, Cathy and Bill provide the tables, chairs, paper ware and beer, and fun is had by all. Last time we went there had to be 150 people there; and the four of us the only foreigners! They have far more patience, perseverance, and tolerance for ambiguity than I could ever hope to have. They give so selflessly and so joyously, and their love is returned to them multiplied many times over. They spend every weekend cheering on their local friends’ kids at the kids’ baseball games, and they’ve been invited to many, many homes and parties. Even though they are here part-time, their lives are so intertwined and important to their Mazatleco friends. It is really wonderful to see how loved they are. Just last night, their friends here hosted a surprise going-away party for these two. Over fifty people attended. Way to go, Cathy and Bill! Thank you for helping keep Mazatlán the multicultural mix it has always been! And for helping make our world a better place. Enjoy your NOB summer! We will miss you! What a surprise, Nancy. I am sorry you feel judged. The whole point of the post is that there are many ways of living the expat lifestyle here. I was actually thinking to do a series on a few different friends, with their permission. I happen to think you guys lead a really cool life, too, with that beautiful home of yours you've restored, the community you've built, the way you've gotten into visual art and drama since you've been here. I know I've told you and Paul that many times. To me we all have different choices we make and different realities we live, and they're all beautiful and whole in their way. Perhaps it's the "gringo gulch" reference you take exception to? There are many terms for different communities around town, and this is one I hear quite often for the Centro Histórico during the winter months; it’s not something I came up with. It's interesting that my complimenting someone was taken as a judgment against someone else. Dianne, I don't want to explain further, at least while using your blog comments for the conversation. I do feel that your gringo gulch comment was offensive. Just because others use it doesn't mean they should… (and when folks say Gringo Gulch they are usually referring to a couple blocks just behind the Escudo, by the way)Your complimentary comments about Cathy and Bill were just that, very nice – and like I said, they sound like great people. Dear Nancy, I have removed the offending term, and am now aware that you find it offensive. Thanks and have a great day! Hi-I am a single mother of two young girls (7 and 8), living in the US and really interested in relocating to Mazatlan. Of course I am nervous of the unknown and not having the family support I have here in New York. I know this was posted in 2012, would be curious to find out if five years later, there are any support groups in the expat community that would be willing to kind of take us under their wing if we were to move forward and make this move. I lived in Tucson for about a year back in 2000 and fell in love with the people and the culture..but was interested back then in living a less stressed and worried life in the US and starting over in Mexico. Hope you are still there and doing well. This couple sounds wonderful! Dear Alyson, yes, we are still in Mazatlan, and Cathy and Bill are as well. They have both retired now and travel extensively as well as spending time in MZT. 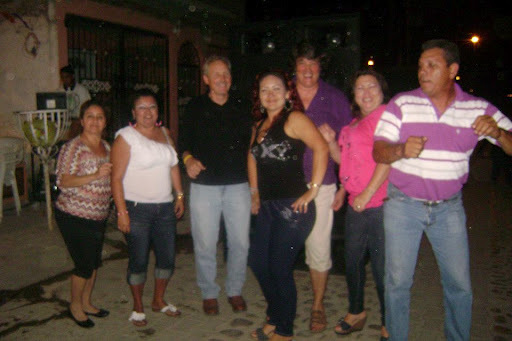 There is a strong and very diverse community of expats in MZT, and fortunately MANY more younger families than when we first moved down full-time in 2008. There are several Facebook groups of Mazatlan expats, Greg runs a FB group of Expats Living in Mexico, and there are a couple of groups that meet live and in person in season. Welcome! Thank you, Kay. Nice to hear!